The Youth Crisis Respite Center is open. This facility offers enhanced readily accessible services to youth with behavioral health crises in order to avoid psychiatric hospitalizations, and to youth who are displaying behaviors that place them at risk. The Respite Center is set up similar to a group home environment and will minimize the trauma associated with the child's situation. Scheib Board of Directors wishes to thank the local community for providing the funds needed for this and other recent projects. Ours is a caring community and they have shown that by opening their hearts and opening their wallets. 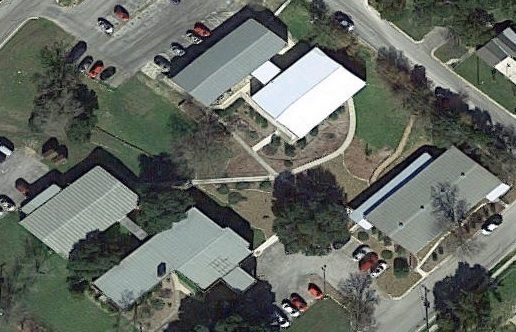 The Scheib Center provides mental health and mental disability services to residents in San Marcos and Hays County mainly to those without insurance and those on Medicaid. Our two service areas are: Mental Health Services and services to those with mental disabilities, which today is known as Intellectually Developmentally Disabled. Approximately 2,900 adults and children receive regular services at Scheib. This number does not include all the family members, parents, and care givers who benefit from the counseling, education, and emotional support involved in helping their loved ones. San Marcos and Hays County benefit from having citizens with better mental health and the type of ongoing care provided by Scheib. Our goal is to continue to search for ways to assist recovery and to improve the lives of our citizens. Ask a San Marcos local what’s their favorite charity and you are likely to hear The Hays County Food Bank, Prevent a Litter (PALS), The Women's Center, or maybe The San Marcos River Foundation. People like to think about, and give to, organizations that help the poor, the environment, women and children, or cute puppies. Who doesn't like puppies? But one organization you are not so likely to hear people mention is the Scheib Center. Never heard of the Scheib Center? Perhaps you’ve heard the name, or driven past the facility on Bishop Road but never knew what really happens there. Maybe that is because at Scheib, we help the people of this area that no one wants to talk about, or think about. The Scheib Center is a local nonprofit organization founded in 1971 with a donation from Mr. and Mrs. Buck Scheib for the purpose of providing a facility where our citizens who live each day with the challenge of mental illness can receive needed services. We also operate a day workshop for adults with intellectual or developmental disabilities...those we used to call retarded. It is heartwarming to see so many dedicated people working to help our local citizens in need. At Scheib, you will find psychiatrists, psychologists, case workers, law enforcement personnel and a whole lot of other folks who just plain care. Clients get medical care, counseling, and attend peer groups. Veterans have access to needed services. Intellectually disabled adults can get job training or work to earn income by assembling “pic-pacs,” picnic packets with plastic ware, a napkin, and salt and pepper packets. There are even art and music classes offered at Scheib Center. In addition to adults with intellectual disabilities, our clients include veterans who have fought bravely for our country and have paid a steep price in mental health for their efforts. You will find people battling addiction, depression, bipolar disorder, schizophrenia, and a variety of other mental health issues. And you will find the Hays County Mobile Crisis Outreach Team, a collaboration of law enforcement and mental health counselors who intervene in crisis situations involving mental health. Over the last few years, the number of individuals receiving services through Scheib has increased about 30 percent. In 2015, we served nearly 3,000 people, most of whom have an annual family income of less than $15,000 a year. No person is ever denied services because of lack of insurance or an inability to pay. And with the implementation of the new health care laws, we are mandated to accept any new patient without an appointment leading to a surge in the number seeking care. The facilities and services at Scheib are partially funded by federal grants and Medicaid, but that money is limited and shrinking at a time when demand for services is growing exponentially. Lobbyists for mental health have been somewhat effective at limiting funding cuts for these services, but the intellectually disabled do not have a strong public voice to speak for them. And these folks do not possess the ability to speak for themselves. Consequently, funding for services for the intellectually disabled have suffered massive cuts. The quality of facilities and services that would be provided based on government funding alone is inadequate and not good enough for this community or for the clients of the Scheib Center. Here’s where you can help. Grants and donations are desperately needed to provide these citizens, your neighbors, with needed services and opportunities and a first class facility that San Marcos can be proud of. Please consider adding the Scheib Center to your list of favorite charities for cash donations, or as a great place for your group’s annual service project.